Christian fiction (purchased for my daughter), about the efforts Bailey goes makes to get a date for the senior prom. Marketed as teen fiction, but the print size and plot depth suggest 12-15 year-olds rather than the YA's who will be reading Twilight. I would have enjoyed it as a teen, but reading it as a parent, I found the plot somewhat predictable and a bit moralistic in the same way that old Baywatch episodes are. 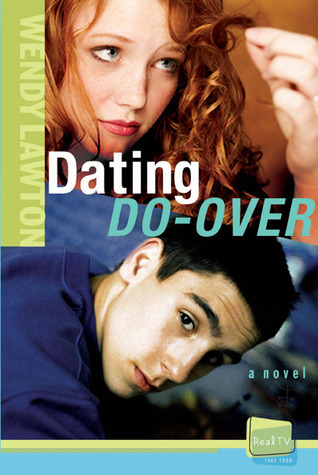 But that doesn't lessen the fact that the writing, characterisation and plot are all fine, and it's good for teens to learn that life doesn't revolve around having a date.Four stars because it does the job well (and I'd rather she learnt about dating from this kind of book than from Twilight). Wendy Lawton - Wendy Lawton, award-winning writer, sculptor, and doll designer, founded the Lawton Doll Company in 1979. Lawton is a long-time lover of classic Christian literature. She has written eight books in her young adult Daughters of the Faith series. These books were followed by a series of four teen books and a nonfiction adult book. She won the 1999 Writer of the Year Award at the Mount Hermon Christian Writer’s Conference. She also won the famous Bulwer-Lytton Fiction Contest for the intentional worst first line of a novel in the Children’s Literature category.Lawton received an honorary Doctor of Arts and Letters degree on January 18, 2004, from Wilmington College, located in New Castle, Delaware. She and Keith, her husband of 30 years, are the parents of three. They reside in Hilmar, California, where they farm 30 acres of almonds and care for two dogs, an aged goose, and five elderly cats.Lawton is the Vice President of Books and Such Literary Management. See their website here.